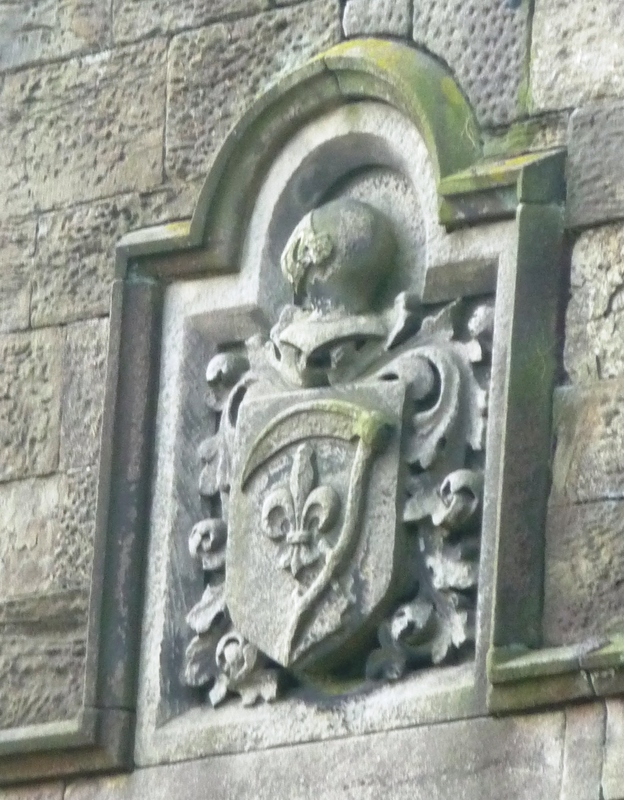 The Sneyd coat of arms incorporates a scythe and fleur-de-lys. These can be seen on buildings in the parish. In 1544 William Sneyd bought the manor of Keele from the Crown, and he and his son & heir (the first Ralph) built the first of the Sneyd houses at Keele in about 1580. Keele Hall was built away from the centre of the village but its creation significantly changed village life as this was the first time there was a great house with a resident lord. This undoubtedly marked a radical change in the fortunes of the people of Keele, as they lost many of their former privileges. The Sneyd family made their money from farming, both arable and dairy, but they also vigorously exploited iron and coal, both of which were found on the estate, and many of the villagers worked in the mines and the quarries. But other crafts and trades also existed in the village, e.g. blacksmiths, thatchers, wheelwrights, but perhaps the most distinctive of Keele’s craftsmen was John Holland – a frying pan maker. In 1673 he took over an old corn mill and converted it into a forge and plateworks, and Keele was the site of one of only two frying pan manufacturers in the 1680s. Although the Sneyd family did not own the whole village they steadily increased their control by buying land as it became available and dominated the village economically for the next 400 years.